April 2018. 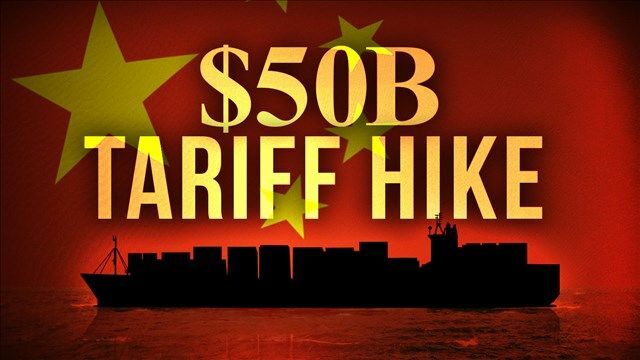 China threatens imposing $50 billion in tariffs against US imports, including soybeans. Here's a sampling of comments from agricultural trade groups regarding China's proposed plan to impose $50 billion on U.S. imports. “Our corn farmers have worked for decades to support fair and open trade practices because we understand that trade is a two-way street. In today’s global economy, we know that we need to be competitive to grow and maintain our market share. Our farmers have done that, which is why agriculture has a positive trade balance. In 2018, the U.S. is forecast to export $139.5 billion in agricultural goods to the 95 percent of consumers who live outside the U.S. Instead of new protectionist policies, our nation’s focus should be on growing market access and promoting expanded trade from our most competitive industries. -USW Chairman, Mike Miller, USW Chairman and wheat farmer from Ritzville, Washington. “Farmers and ranchers are, by necessity, patient and optimistic. We know markets ebb and flow. But China’s threatened retaliation against last night’s U.S. tariff proposal is testing both the patience and optimism of families who are facing the worst agricultural economy in 16 years. This has to stop.